ValleyBike Share is coming! 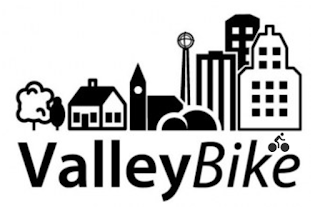 The City of Northampton, through the Office of Planning & Sustainability and with active involvement of Mayor Narkewicz, is the lead community and program administrator for a regional collaboration that is bringing ValleyBike Share to Northampton and the Pioneer Valley. 14 bike share stations and 140 electric-pedal-assist bicycles will be in Northampton, with a total of 50 stations and 500 bicycles in the region. Anyone can join the system and, for a modest fee, take unlimited 45 minute rides between stations, with the ability to take out bikes from any of the 50 stations. 2. Decrease our carbon footprint and the adverse air, water, and health impacts from vehicles. 5. Reduce the need for new parking, which is expensive and diverts land from other uses. Thank you to our sponsors to date, NETA, Cooley Dickinson Hospital, Florence Bank, and Smith College. We are looking for more sponsors, so if your business would like to sponsor we would love to hear from you and help give you exposure in the community.